Monsoons in Karjat is a visual delight – grassy meadows, nesting birds, lush green hillocks lined with waterfalls, butterflies and insects galore - nature at its best display. If you really want to do just more than visit a hotel or a friend’s bungalow in Karjat on a weekend, here are the five things GreenKarjat.com recommends to soak in the monsoon fun. It is the perfect weather to explore Karjat. Nature lovers and avid trekkers head to the ancient Buddhist Kondana caves. It’s an hour trek from Kondane village and an easy one too. 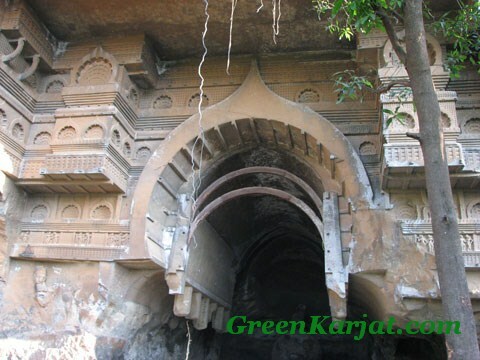 You will witness eight caves enclosed with sculptures, vihara, chaitya and stupas. The caves were created around 200 BC - 100BC, so you will get a glimpse of ancient Buddhist architecture. 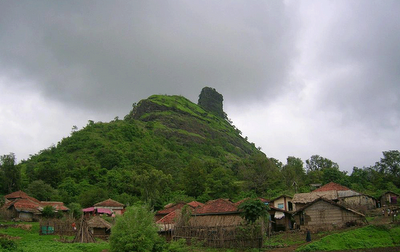 Bhimashankar, situated in the village of Bhavagiri, is a famous pilgrimage site and a major trekking spot in Karjat. It is one of the twelve Jyotirlingas of Lord Shiva in India. The beautiful stone temple is around 3296 feet high and is surrounded by dense forests and lofty peaks, get ready for breath-taking views. There is a simple route via Ganesh ghat and a bit difficult one Shidi ghat, you can read about directions to Bhimashankar. 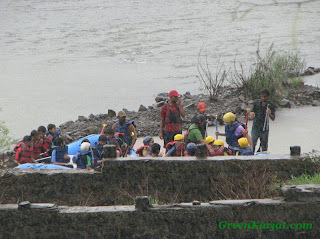 Monsoon is also the best time to go river rafting on the upper sections of Ulhas River. Several adventure tour operators conduct one-day or weekend rafting from July to September. The nerve-tingling rafting adventure highly depends on the rainfall, so manoeuvre your way through rapids and stay afloat! How could we forget this one, a must-do in all seasons! 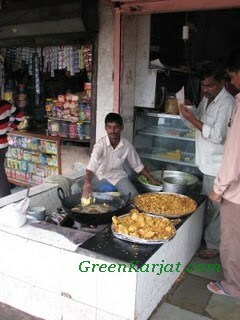 Karjat is known for its hot and delicious vada paus, which are available at almost every corner of the street or village. Although Diwadkar near Karjat station serves the best vada pavs in Karjat. Go driving around close to the hills, and you are sure to spot a string of waterfalls hiding behind the clouds. Jamrukh village is the best spot to catch waterfalls, even Bhivpuri waterfall is a popular spot. This is also the start of the rice-planting season. You will find farmers ploughing their fields, getting it ready for a new season. For a real countryside experience, help a farmer grow rice. I am sure they wouldn’t mind an extra hand and don’t forget to click pictures!